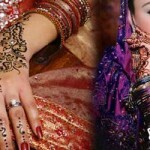 The charm of Pakistani weddings can be seen everywhere, as the best bridal mehndi designs also exhibit the joyous mood of the wedding ceremony. 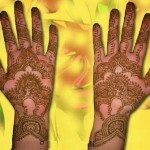 The bride is keen and enthusiastic to select the most beautiful design that would grace her hands, and with the wide array of designs and patterns, it becomes easier to select the ideal mehndi design. 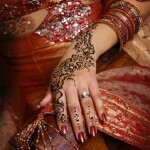 Dulhan mehndi designs should be much different and unique from ordinary mehndi designs. 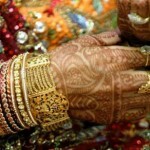 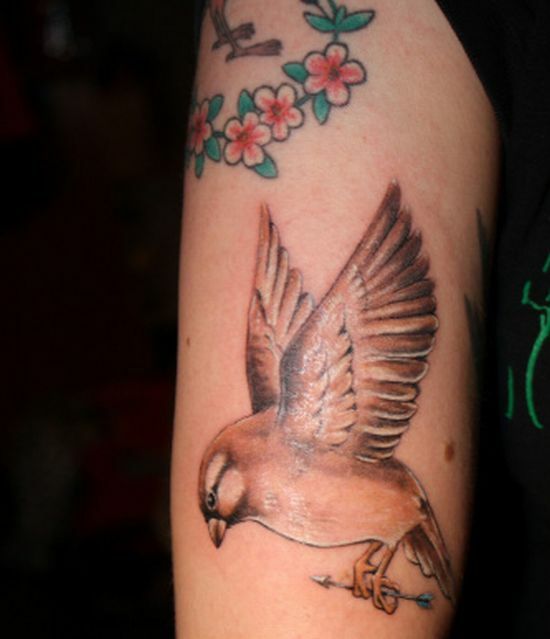 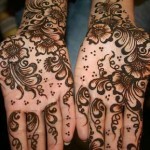 In Pakistan Commonly used mehndi designs are designs for hands, arms and feet. 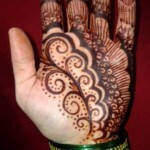 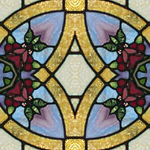 Like India they also like to make a big spot or dot in the middle of the palm and on the finger tips with zigzag out line with little bit designing. 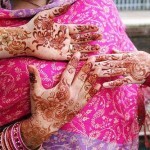 They usually would like to make flowers on her hands and descendants on feet. 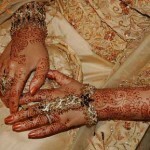 In Islam mehndi is consider a poise thing and it is said that the use of mehndi the use of mehndi is a decree of God and also consider strengthen for this poise relationship. 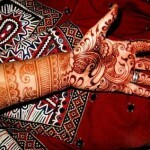 Mehndi is the application of henna as a temporary form of skin decoration in Pakistan, India and Bangladesh, as well as by expatriate communities from these areas. 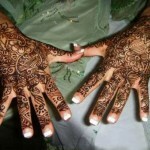 Our weddings are incomplete without the mehndi ceremony . 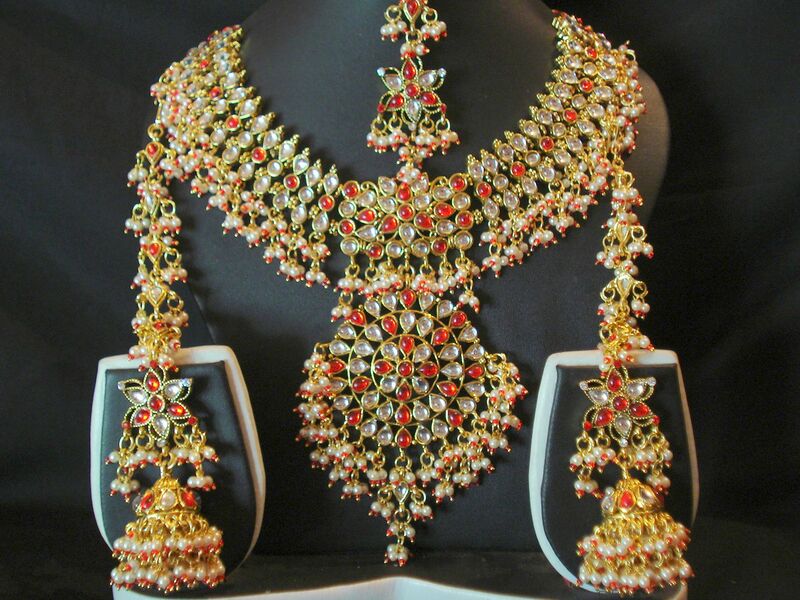 The ceremony is mainly held at the bride’s house or at a banquet hall on the eve of the shadi ceremony or few days before the marriage. 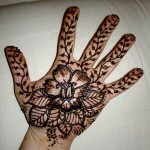 Generally the bride and groom attend the event together and on the occasion a professional Mehndi Artist or a relative free applies mehndi to the dulhan hands and feet, the designs are very intricate. 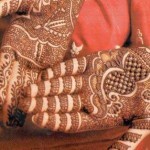 Often hidden within the mehndi pattern the name or initials of the dulha are applied.